Today I have one last Christmas post for you. It's the card I made my husband for Christmas, so I obviously couldn't post it until after I gave it to him! I based my card on a sketch I saw on the Pals Paper Arts challenge blog. Here's my take on the sketch. 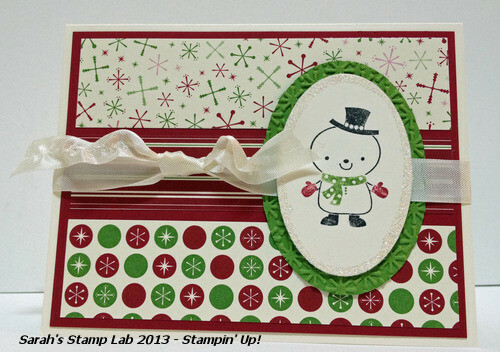 I used the new Oval Framelits from the 2013 Spring Catalog. They are great for making a beautiful focal image that really pops!